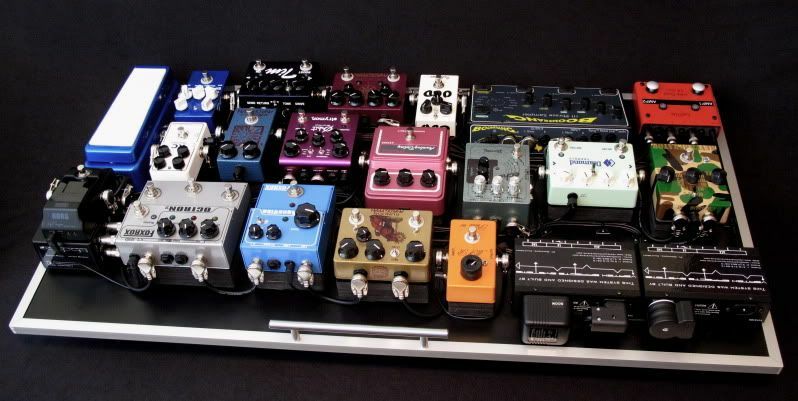 Here is a pedalboard that I did for one of our fine men serving the United States Military overseas. 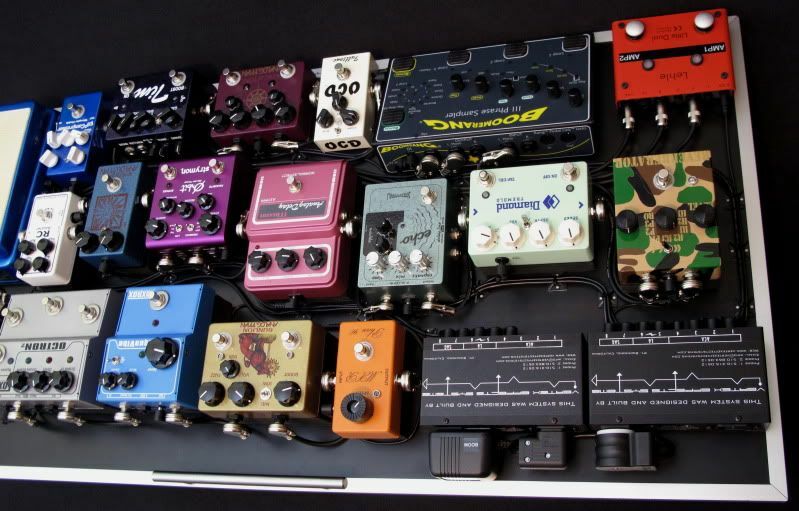 The client wanted a pedalboard that incorporated all of the pedals that he had been collecting over the years and make everything useable together once he returns to the United States when his service is complete (any day now apparently). 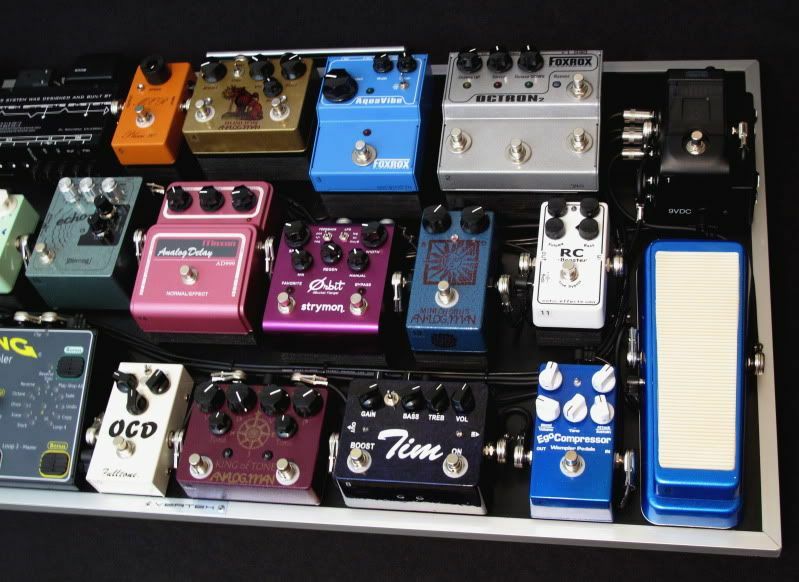 It's got some pretty cool and hard to get pedals on it (KOT, Sun Lion, Aqua Vibe, etc.). It's got some great boutique gear here, but DAMN - this MONSTER sounds awesome!!! 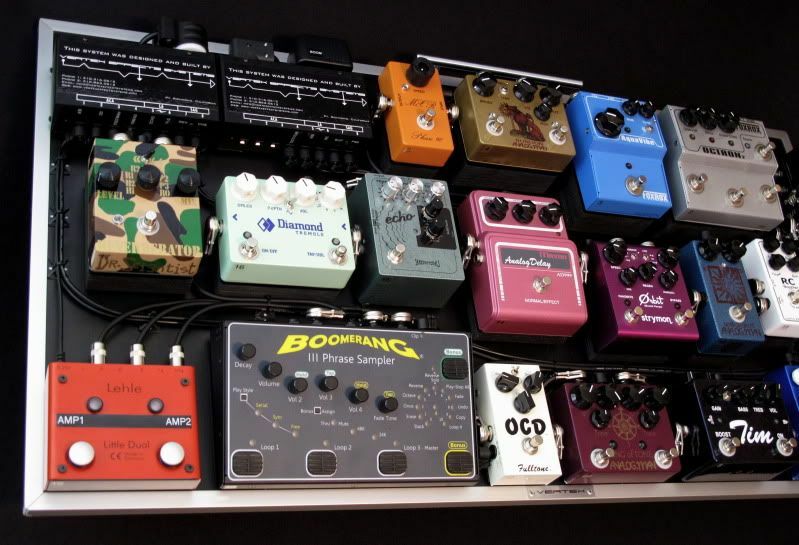 Passive Input for Fuzz, Input Buffer Insert (following Fuzz), Dual Output Buffers (for A/B or Stereo Out at the end of the chain), EXP pass-through to use the EXP function out of the Boomerang by plugging into the interface and keeping the pedal off-board.